Creating quality content that people want to share is the best way to boost your brand’s growth. If people want to read, view, share and talk about what you’re putting out, you’re sure to see tons of traffic, increased sales, and higher engagement. But how many times have you spent hours on an article (or another piece of content) only to see it go absolutely nowhere? It isn’t getting the clicks, shares, or comments that you’d hoped for. Meanwhile, your competition is thriving. That’s why it’s time to steal your competition’s best content ideas (while simultaneously learning from their mistakes). You obviously shouldn’t ever plagiarize content. However, it’s important to recognize that it’s hard to come up with completely original content ideas in today’s online world. You might think you’ve thought of something “new,” but it’s probably already been done before. That’s why you need to use your competition’s content as inspiration to create something even better. To get started, you need to understand the different types of competitors. Your competitors can be divided up into four different categories. The three most common categories are direct competitors, indirect competitors, and replacement competitors. Direct competitors are the competitors that are the most obvious. They offer products and services that are more or less the same as yours. Examples of direct competitors include Walmart and Target, Microsoft and Apple, or Pepsi and Coca-Cola. Indirect competitors are businesses that sell the same products as you but also specialize in other areas. Examples of indirect competitors are McDonald’s and Applebees or Nike and Timberland. McDonald’s and Applebees are both restaurant chains, but McDonald’s is a fast-food chain while Applebees is a bar-and-grill chain. Nike and Timberland are both shoe brands, but Nike is an athletic shoe brand while Timberland is an outdoor footwear brand. Indirect competitors are usually harder to identify than direct competitors. Replacement competitors are even harder to recognize. These competitors don’t have to offer the exact same products or services as you do, but they do compete for the same customer base. For example, mobile phones are a completely different market than digital cameras. But phone manufacturers like Samsung became competitors with camera brands like Canon or Nikon as soon as they began including cameras on their phones. If you want to identify direct, indirect, and replacement competitors, you need to do some audience research. Try some social-listening tools like Hootsuite or Social Studio to get started. 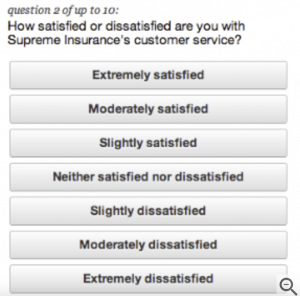 You can even run some customer surveys. Google Consumer Surveys are a great resource. This allow you to create custom questions and selections for each answer and then send them out to your current customers. You can even have customers answer questions to your survey in exchange to access premium content or Google Play credits. SERP competitors are the fourth category of competitor. 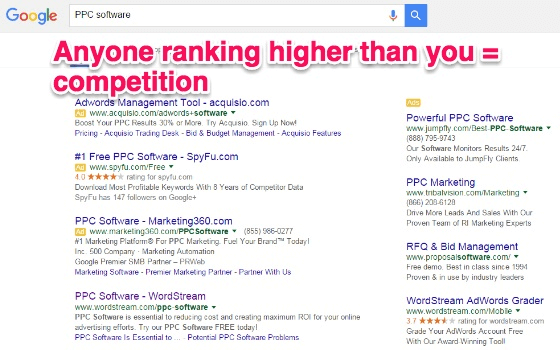 SERP competitors are the sites ranking for the keywords that you’re currently trying to rank for. They’re taking up space for the top rankings that you want and need. They can be any type of site, like a Wikipedia page or an article from a news site. These competitors are funneling SERP traffic from you that you need in order to get more traffic. So you need to identify them and beat them as fast as possible. Once you’ve found the keywords you want to target, find out who’s ranking above you for each one. Use an SEO tool like Moz’s Open Site Explorer to find out exactly how your SERP competitors are ranking higher than you. Next, you need to do even more sleuthing. You need to know the down low about how competitors are getting attention online. Luckily, there are tons of tools out there that can help you find out how your competition is driving traffic and getting people to pay attention to them. Some of your competitors are paying for their traffic. SimilarWeb can help you find out which ones. The tool can also show you the source of the traffic, along with any keywords that your competition is currently ranking for. Just enter your competitor’s URL to get a free report on any website or app. Then, you’ll be able to get huge insights into their traffic, including total visits, the average visit duration, pages per visit, and their bounce rate. Once you find out which competitors are paying to get to the top of the charts, you’ll know the goals that you need to meet to rank even higher than them. Next, look at their SEO strategy and figure out how you can mimic it. You already know which keywords your competition is targeting thanks to SimilarWeb. Now, you need to start trying to rank for the keywords that they aren’t ranking for yet. The easiest way to do this is to use the exact same strategy that they’ve already used to rank high. If you use the same successful SEO strategy that they used, you’ll be ranking just as well as they are, but for different keywords, in no time. Rank for the keywords that your competitors have ignored to get ahead of them. Find out which paid keywords and organic keywords your competitors are ranking for with a tool like SEMrush. The tool shows you the exact SEO strategy that your competition is using by revealing which keywords are paid and which ones are organic. Then, simply try to rank for similar keywords that aren’t on the list. You also need to run a social media audit on your competitors. Social media networks are a great place to share existing content and post new content. They’re also an effective place to generate new leads or nurture the ones you already have. Google also collects social signals from social media pages that can affect rankings. 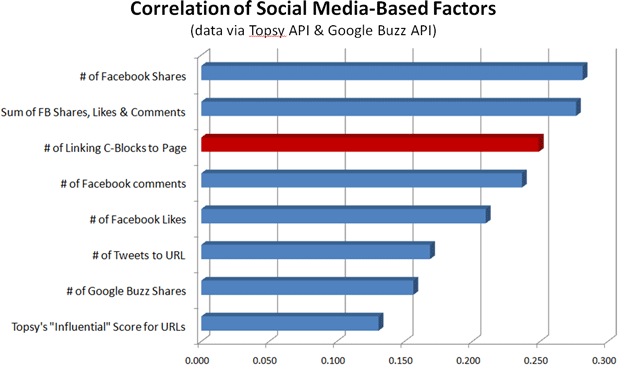 That means that the number of Facebook shares or likes that your posts get can actually affect SERP results. The same applies to your competitors. Run social media audits on your competitors for all of their accounts. Here’s what to look for on each platform. Look at their recent posts. How many retweets do they usually get? Do they use images or video in their tweets? What about hashtags? Which hashtags are they using? Are they adding calls to action (CTAs) to their tweets? How many likes do they have on their recent posts? How often do they post on Facebook? How many comments are there on their posts? What is the tone of those comments? Are they using CTAs in their Facebook posts? How many followers do they have on their page? How many accounts do they follow? What kind of content do they post? How often do they post it? How many likes and comments are they getting on each photo? What does their bio look like? Did they include a link? How many views does one of their videos get, on average? How often are they uploading videos? If you want to take it a step further, ask the same kinds of questions for other social media pages that your competitors may have, like Pinterest, LinkedIn, or Periscope. Use the information you find to create a social media posting strategy that is similar to theirs. Try and create some goals you want to reach based on your findings, like a number of followers you want to earn by a certain date. Next, look at their overall content strategy. Some companies crank out blog post after blog post or video after video. How are they coming up with all of those ideas so fast? Are they using guest bloggers? Maybe. But they’re probably starting their content marketing strategy by curating lists of topics that could be interesting to their readers. 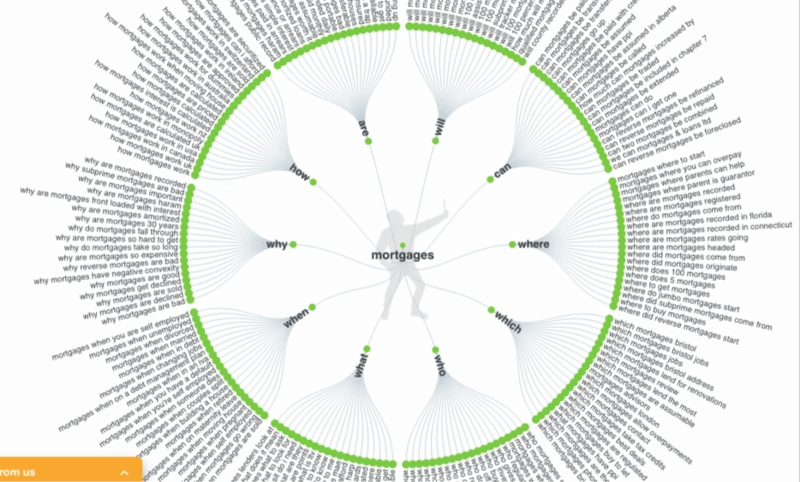 You can generate tons of blog topics just off of one idea with a tool like Answer the Public. Just enter in your keyword to find hundreds of content suggestions. They might also be using infographics or blog posts from other companies (with permission). You can use resources from those companies, too, if you reach out to them and ask. The worst thing that they can say is no, and if they say yes, you can use it as a chance to create a valuable, lasting relationship with them. Your competitors are likely also recycling and repurposing one piece of content to create many other forms of content. For example, they might be turning each blog post into a video or splitting it into several emails that they send as a series each week to their newsletter subscribers. You can easily turn one e-book into several blog posts, infographics, webinars, videos, slideshares, or emails. Keep track of every content type that your competitor is creating. Then use that list later on when you’re building your own content strategy. 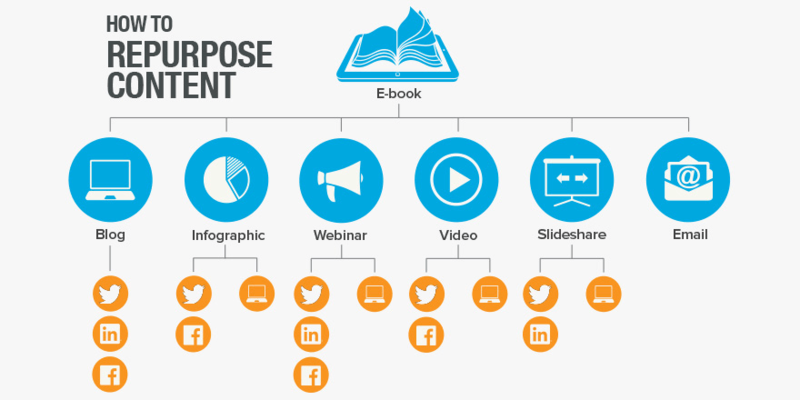 Recycle, reuse, and spread your existing content across as many mediums as you can. 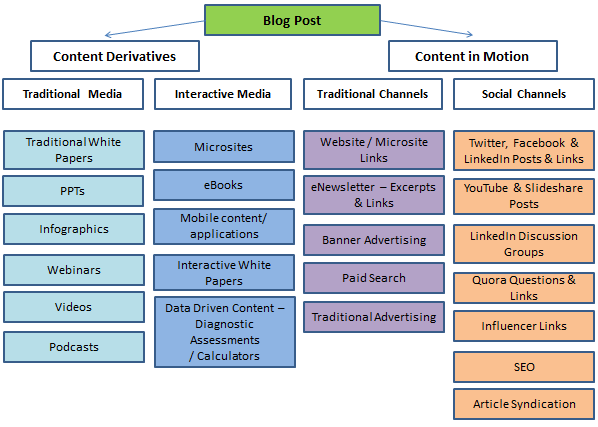 And pay attention to the types of blog topics that your competitors are choosing, as well as their average post length. Trying to come up with a ton of different topics that you hope will be entertaining to readers can be time-consuming. And you might not always be right. Get ideas from topics that have already performed well in the past instead. Go to your competitor’s site and look at what the most popular content is on their page. 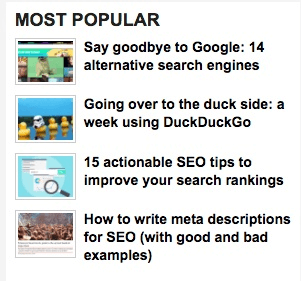 Most sites have a list of their most popular posts right on the front page. Look for topics that have a high level of comments and shares. If you need a tool to help you out on a site that may not have a “Most Popular” page, use BuzzSumo. Enter your competitor’s URL to see a list of their most shared content. Once you’ve analyzed the sites of your top competitors, you should have a list of tons of topics that you can write about that have performed well in the past. The length of your posts can also affect how well they perform. I’ve found that long blog posts and articles perform the best. 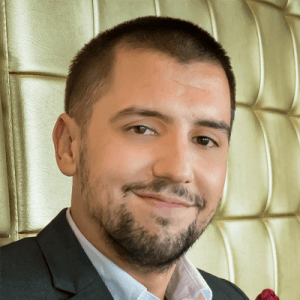 Brian Dean of Backlinko found that content above 1900 words ranks within the top 5 positions on Google, with content between 1900 and 2000 words ranking at number 1. If you publish content that is consistently of this length, you’ll see better results than if you create shorter content. To find the average post length of your competition, calculate the average word count of five or ten of their blog posts. You can do this manually by copying and pasting their articles into a Google Doc or Microsoft Word, or by entering the URLs of each article into a bulk web page word count checker. If your competition is posting content of varying lengths, find out which of these lengths are performing the best. It will probably be the longer posts, but you may want to double check to see if there’s an obvious trend within your specific industry. You’ve gathered your topics and analyzed your competitors to death. Now, it’s time to put all of your research to work by applying The Skyscraper Technique. The Skyscraper Technique has been used for years by bloggers to beat their competition. 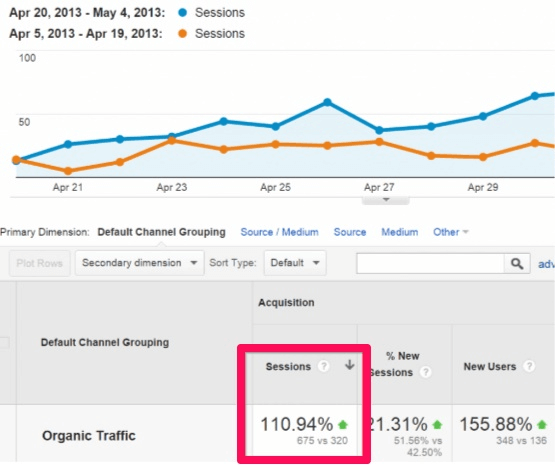 When done correctly, you can use it to increase organic traffic by as much as 110% in just two weeks. 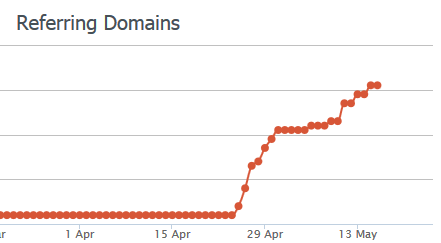 The technique will also boost your referring domains significantly, which we’ll talk about next. How does The Skyscraper Technique work, exactly? Well, you’ve already found content that your competitors have created that has performed well in the past. And you’ve recorded these topics as ideas for new blog posts. But The Skyscraper Technique means that you’re not just going to write a new blog post on these same topics. You’re going to make an even better, new-and-improved version. This means that your new post on that same topic should be longer, updated, designed and structured better, and even more thorough. Try to come up with a completely unique angle by researching other content created on that topic by other brands besides your competitor. By the time you’re done, your improved blog will almost be guaranteed to outperform the original one posted by your competitor. By creating the longest, most heavily researched, and most in-depth blog post on the subject, your article will naturally become the most credible and helpful resource. It also helps to add a ton of high-quality images to your new post. They can elevate your writing and keep people engaged as they read. They break up the text and explain what you’re trying to say visually. You can use existing images from other brands, but be sure you include a link to the page that you found the image on. If you plan to cite some kind of study in your content, include a graph from the research that visually explains the statistic. You can also create your own images with Pablo by Buffer. Select an image on the left-hand side or upload your own background image. Select your image size and font style. Once you’ve completed your image, download it and add it into your blog post or e-book. You can also take screenshots and add callouts and annotations with Evernote. Link to all of the other posts that you used as resources within your new content. This will not only allow you to cite your sources, but it will also signal to Google that your content is relevant because it includes links to those articles. Finally, focus on building inbound links to gain more traffic. 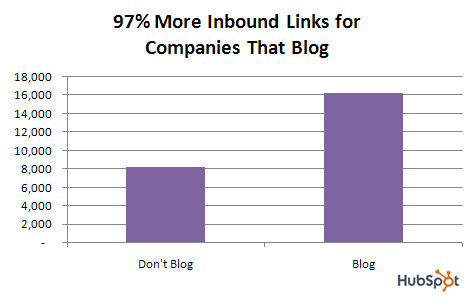 If you blog, you’re already bound to get 97% more inbound links than companies that don’t blog. So you’re off to a good start. 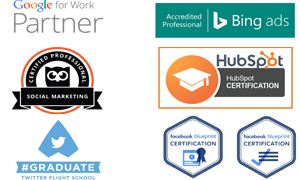 But what is an inbound link, anyway? Put simply, it’s a link that takes people from one website over to your website. Outbound links, on the other hand, link from your website to an external website. They both boost traffic as well as your rankings, but inbound links are known for optimizing your blog’s SEO. 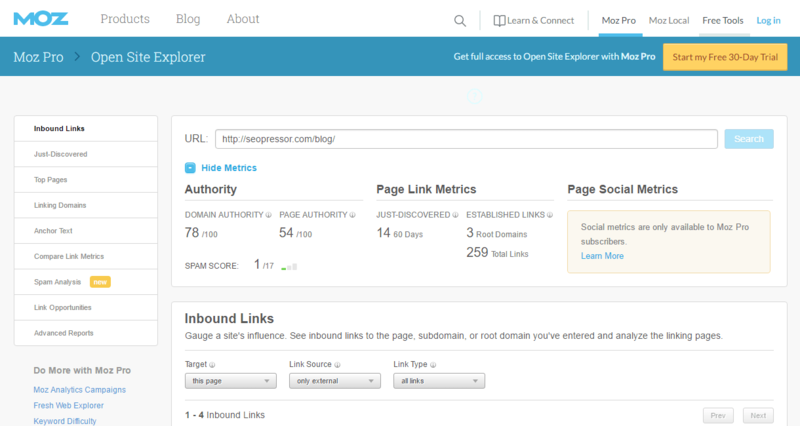 For example, this is an inbound link to one of my blog posts on internal linking. Websites with a large number of inbound links naturally earn better rankings than sites without a ton of them. Once you’ve created some killer content, the final step is to reach out to people who have linked to similar pieces of content in the past (AKA content from your competitors). Simply use a link-building tool like SEMrush to find out which websites have linked to a piece of existing content. 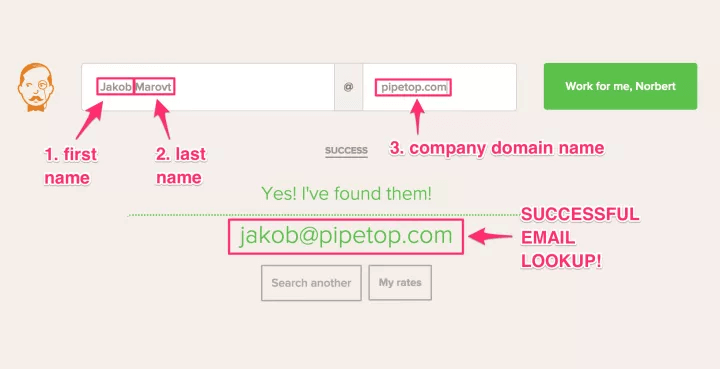 You should be able to easily find a list of referring domains. Then, identify a contact at each company that you can email to let them know that you’ve created a similar piece of content that’s new, improved, and updated. You can use Viola Norbert to find anyone’s corporate email address. And Gmass can help you schedule and track those emails. Just ask them to link to your content instead. Creating quality content is the fastest and easiest way to get ahead of your competitors. You need to create content that people want to read, view, and share. But sometimes it’s best to “steal” your competition’s content ideas to get ahead. This doesn’t mean that you should plagiarize their content, but instead, you should use their past content as inspiration to create similar work that is updated and of higher quality. To get started, understand that there are four different kinds of competitors: direct competitors, indirect competitors, replacement competitors, and SERP competitors. Once you know what the different kinds of competitors are, it shouldn’t be too hard to identify who your specific competitors are. Next, use a tool like SimilarWeb to find out whether or not your competitors are paying for traffic. From there, take a look at their SEO strategy and find out exactly which of their keywords are paid or organic. Run a social media audit across all of your competition’s social media pages. Take a look at Twitter, Facebook Instagram, YouTube, and so on. What are they doing that you aren’t? How are their posts performing, on average? What about their overall content strategy? Are they repurposing content? How are they doing it? Try and think about ways that you can repurpose your existing content in a similar manner. Look at their blog topics. Which of their posts has performed best in the past? Those are the topic ideas that you need to steal. What about their post length? 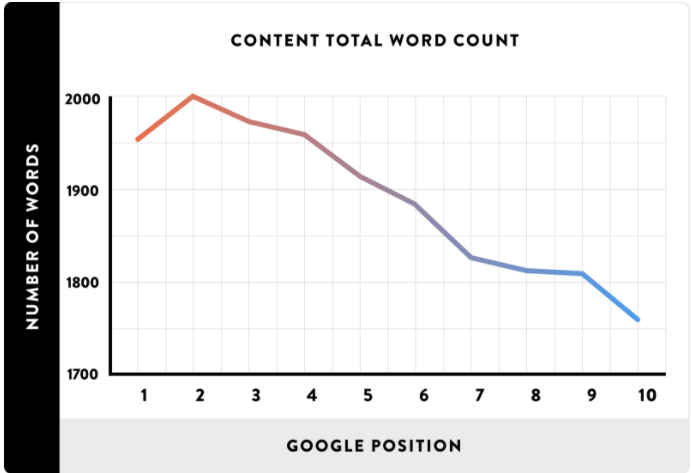 Longer content usually performs better than shorter content. 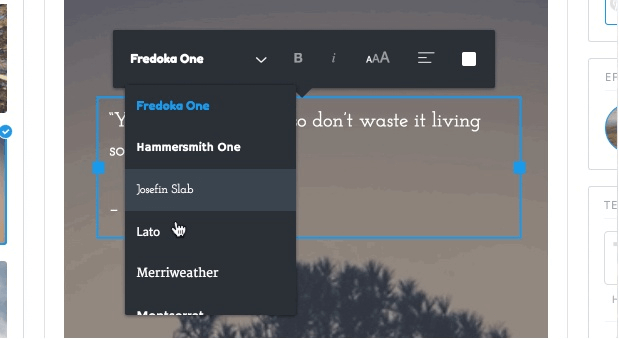 Next, use The Skyscraper Technique to write content that’s similar to your competition’s top performing pieces, but that blows theirs out of the water. Make your content longer, more up-to-date, and more heavily researched. Add in as many high-quality images as you can. Finally, harness the power of inbound links. Identify which sites are linking out to your competitor’s pieces. Then, when you create similar content, contact those sites and ask them to link to yours instead. Use Viola Norbert to find anyone’s corporate email address that you might not have already. What methods do you use to “steal” from your competitors?